The amazing history of the beautiful bean, from the Aztecs to Aero! The Aztecs sacrificed humans to their chocolate gods, and historical villains used it to poison people. Luckily, all you have to do is eat it! With all the fruity and nutty bits, this is a tasty treat for every chocolate fiend. 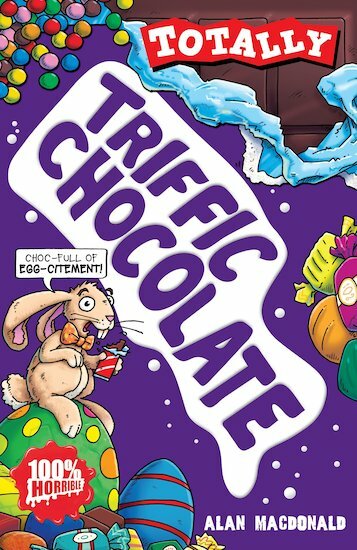 Brilliant book which gives a lot of background knowledge on chocolate and is genuinely really funny! After you finish, you’ll be craving more…and a big slab of chocolate, too!